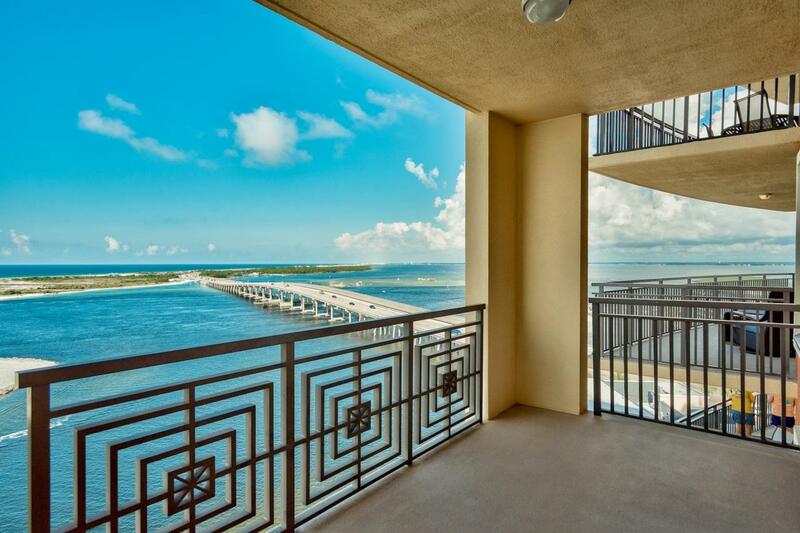 With water views that will take your breath away and high quality craftsmanship throughout, this waterfront condo raises sophistication to a new level. 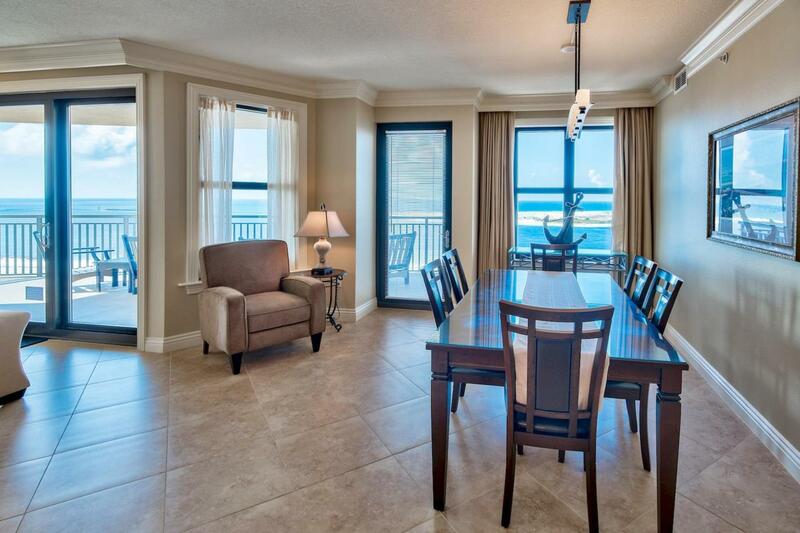 Itoverlooks panoramic views of Destin Harbor, Choctawhatchee Bay, Gulf of Mexico, Crab Island and Okaloosa Island. 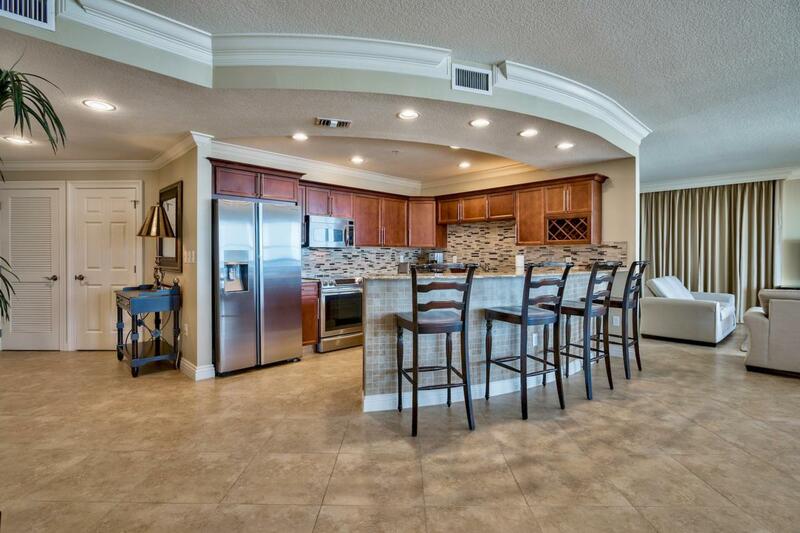 Covered balconies off the open living space and two master suites offer front row seats to stunning fireworks and glorious sunsets. Natural daylight streams in large windows and multiple sliding glass doors for a bright, inviting, neutral tone interior. 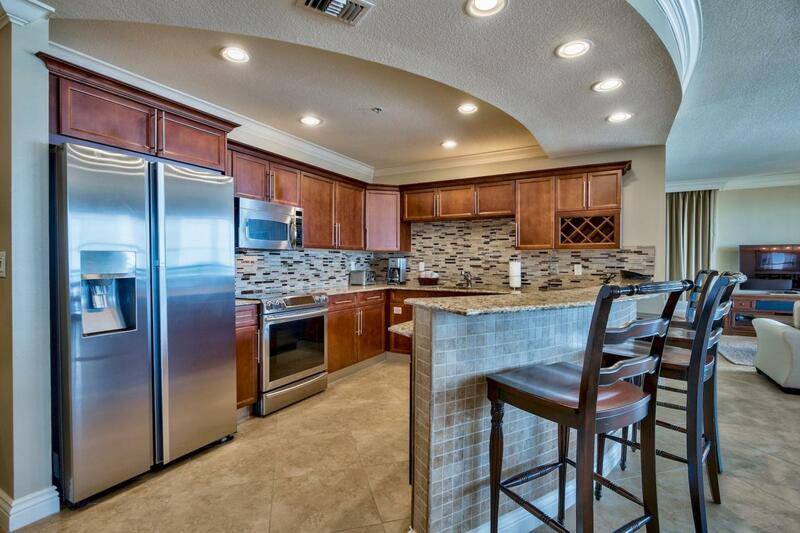 A charming, curved counter with bar stools and curved ceiling directly above looks into a kitchen outfitted perfectly with stainless steel appliances, granite countertops and contemporary backsplash.